THE ARRIVAL in Brisbane of Western Australian wheat and barley has quietened the cash market as feedgrain users watch yield prospects for sorghum south of Central Queensland (CQ) slide in continuing hot and dry conditions, which have fuelled the need for drought feed and lifted the cottonseed market. Goldstar Commodities’ Goondiwindi-based broker Geoff Webb said southern Queensland wheat and barley buyers had plenty of offers on WA grain sourced out of Brisbane. “Barley is under pressure, with WA barley landing on to the Darling at $405 a tonne for Feb-March delivery, which is down $10/t in the past week, and there’s plenty of wheat delivered Downs at under $440/t,” Mr Webb said. Trade sources said WA boat grain out of Newcastle and Brisbane was supplying coastal markets, and was making its way up to 300 kilometres inland to make up for the limited supply of up-country grain, and a lack of grower selling at competitive rates. 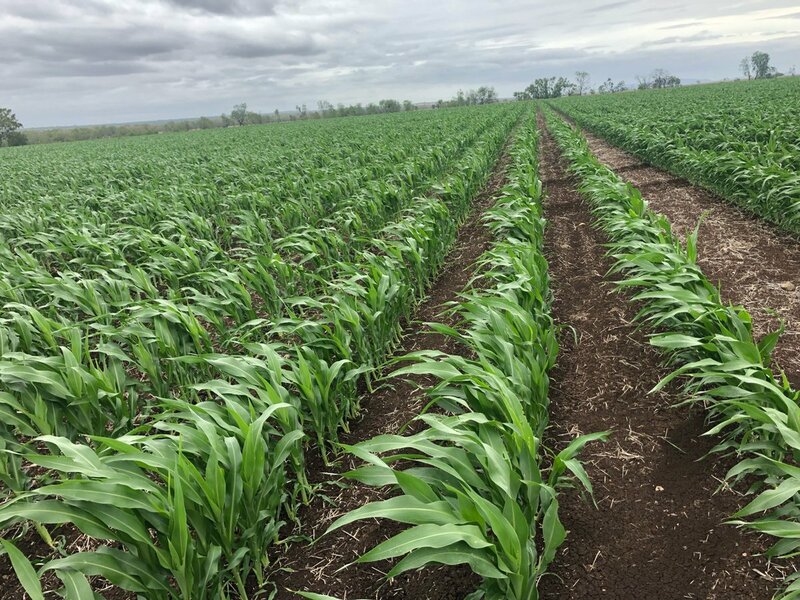 Much of the intended sorghum area in CQ is yet to be planted, and the region’s farmers are hoping to get some rain from the system currently flooding parts of the state’s north. In southern Queensland and northern NSW, Mr Webb said light test-weights and high screenings were being seen in some sorghum crops now being harvested. “The sorghum market seems weaker than it was last week. “It has worked into rations as far south as Griffith, but people are doing their sums now to see if boat grain will compete with it. New-crop sorghum has priced in recent weeks to feed millers as far south as Sydney and Bathurst, and is today quoted at around $360/t delivered Darling Downs. Alliance Grains principal Luke Walker said markets in southern Queensland were steady. “People are unsure about what to do,” Mr Walker said. “We’re losing yield in sorghum, and people might be thinking about switching to barley and sorghum because it’s cheaper than wheat. Advance Trading Australasia broker David Wheaton said the market believed sorghum’s yield prospects were falling every day that passed without rain. Trade ideas about the sorghum crop now being harvested, and still to be planted in much of Central Queensland, are sitting at around 1.5 million tonnes (Mt), down from preliminary estimates of 2.2Mt. Mr Wheaton said prices for Prime Hard wheat had dropped around $20/t in the past week. Trade sources said this could reflect northern NSW and southern Queensland end-users withdrawing from the market now that WA grain was arriving by ship, and the near-term need for grain at any price had subsided. Mr Wheaton said prompt ex-farm prices in northern NSW currently sat at around $350/t for sorghum, and $385/t delivered Newcastle, while barley and feed wheat were quoted at $420-$445, depending on grade. The drought feed market has lifted current and new-crop cottonseed values. “It’s really only cottonseed that is lifting in price. Cottonseed for prompt pick-up ex gin has been trading at around $600/t in northern NSW, while new-crop ex gin southern NSW has been trading at $440/t April, $450/t in the Macquarie Valley and $460-$480/t in the Namoi Valley. Woodside Commodities manager Hamish Steele Park said activity had been thin as there were not many sellers in the new crop market so buyers wanting to get set had found themselves paying up. New crop ex Downs had been bid $490/t and offers had been $10/t away. Both current and new crop cottonseed values are a moving target and not always easy to get set on the day. “It’s a stock issue. Old crop is very tight, hard to flush out and has continued to strengthen. “Delivered Downs February today is up around $685/t. A week ago it was around $670/t. “New crop has lifted on the back of old crop tightness and the hot weather has been frying crops, particularly dryland. “Irrigated crops look good at the moment but irrigation water will potentially run short. While cotton picking recently commenced in Central Queensland, the start-up of ginning for supply of new crop seed there could be held up if the forecast rain were to cause delay.